Just under a year ago, Beyond Sport Director Sander Schouten gave an interesting talk at SoccerEx about the future of Virtual Reality, or VR, in sport. Virtual Reality in football has long been a talking point for those in the industry trying to pre-empt the next trends or ways to deliver content to the fan. With the advent of hardware like Oculus Rift now a reality in homes, though not yet on a major scale, VR is actually possible. The ultra immersive environment of a Oculus Rift headset is impressive and it’s very easy to forget that you’re actually stood up in your living room about to fall over a table, such is standard of its delivery. However, still so few have managed to really grasp and invest into the headset or VR. The content remains somewhat thin and more a fringe element and not an inevitability. With this in mind, what are companies already trying to do (And nearly about to break through on) and what are the future possibilities of the technology? With the addition of a VR headset like Oculus Rift and a 360 degree live stream from the venue, broadcasters could immediately place fans within the stadium. We’ve already seen significant investment in HD, 4K and 3D technology in the past from sporting broadcasters, but we’ve seen very little from a VR perspective. Imagine being able to take your seat in the stadium (or several views) and be able to experience the match in a much more real way. Broadcasters could offer viewers the chance to watch from the bench, the commentary gallery, within the main fans stand, or even a ‘FIFA View” from the TV gallery. 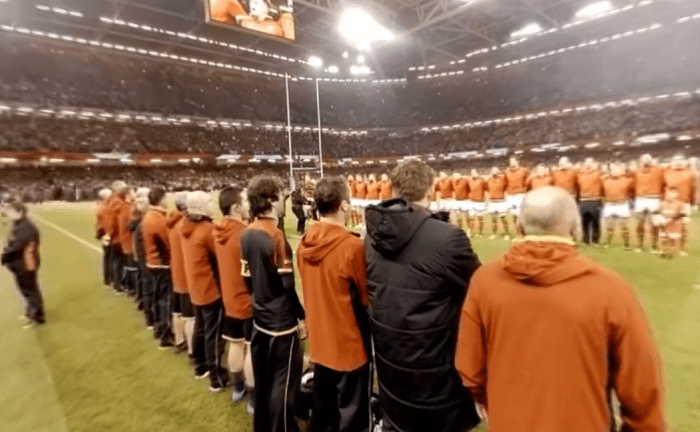 In February, the Welsh Rugby Union used a 360 degree camera to capture the atmosphere during the national anthems for the Wales vs. Scotland match. This was a relatively simple concept to execute and worked incredibly well to showcase the atmosphere the Welsh fans and team generate. As a piece of content, it worked well for a relatively small cost. 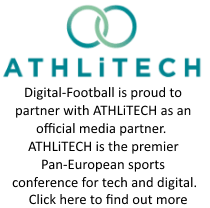 The presentation that Sander Schouten gave at SoccerEx highlighted the technology being used to help provide tactical training directly to coaches and players. The technology from Beyond Sport uses match data to simulate virtual matches through VR. This was then used with the players to test their decision-making skillset and help improve reaction time. Furthermore, the technology could be used to help managers and coaches work with players to recount key decisions made in a match, with both parties being able to see what the player would’ve seen. Other applications for the technology included being able to place younger players in the field of play at a higher level without them being at physical risk. The thinking behind this that our younger players don’t need to rely on just gametime alone to getting better at making decisions but can regularly test themselves without having to set foot on the pitch. Whilst there will always need to be the reality in the sport, this at the very least, does give younger plays a chance to appreciate and taste the pace and reflexes required for a step up to the next level. We’ve long advocated a better system for allocating seats in stadiums. Many of the major sports clubs still continue to use the standard flat image of a block covering nearly 900 seats. This is widely the most help you’ll get for trying to figure out where to sit. What if instead, you could individually test the view of every seat in the stadium? 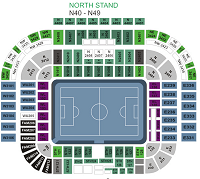 Whilst perhaps an extravagance and a need for some poor soul to take a 360 degree photo from every seat in the house, it would be a nice tool for helping ticket sales and could be used by clubs and venues to let fans sample their seat and try upsell to a better one. In subtly monetizing this, seat upsells based on VR decisions could very quickly cover the initial costs of set-up and start to generate its own revenue stream. Got any further ideas on how VR might work in the future, or perhaps think it’s just a fad? Leave us a comment and let us know.